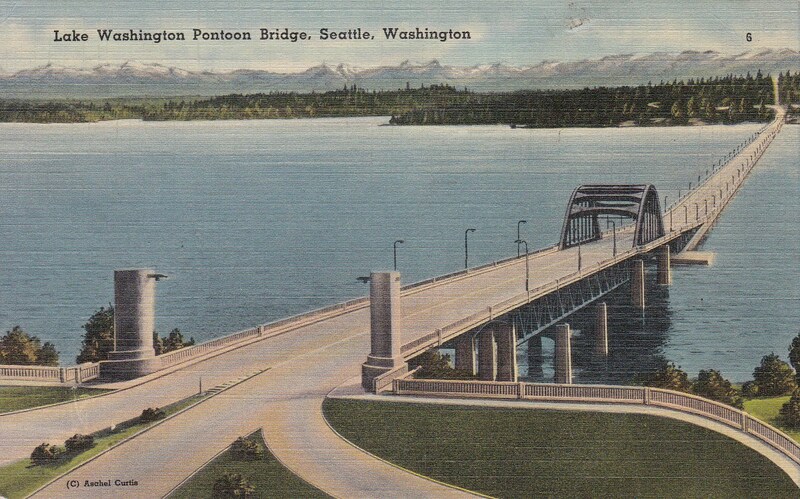 Today I went to two estate sales close to a set of bridges that are called several names – I-90 Bridges, Lake Washington Floating Bridges, Lacey V. Murrow Memorial Floating Bridge. 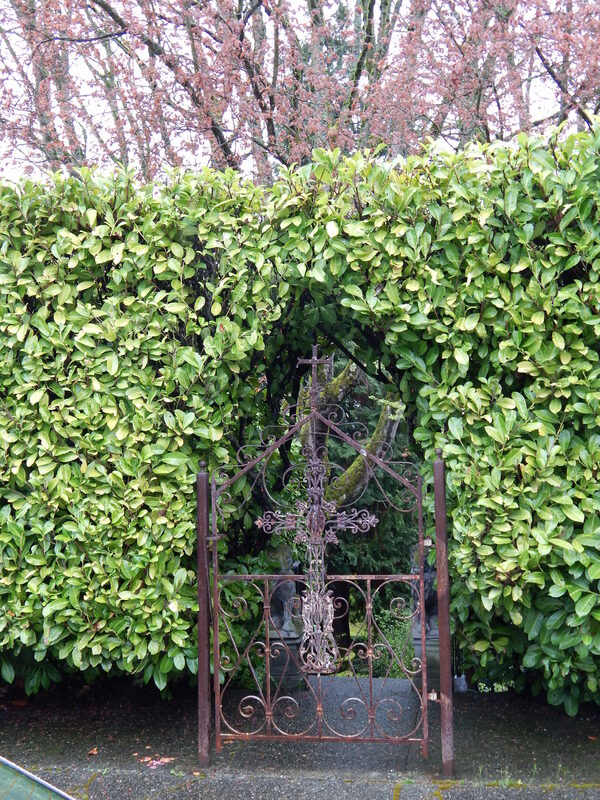 This gate took me to a very eclectic sale and a gentleman who told me a few historical facts about the bridges. 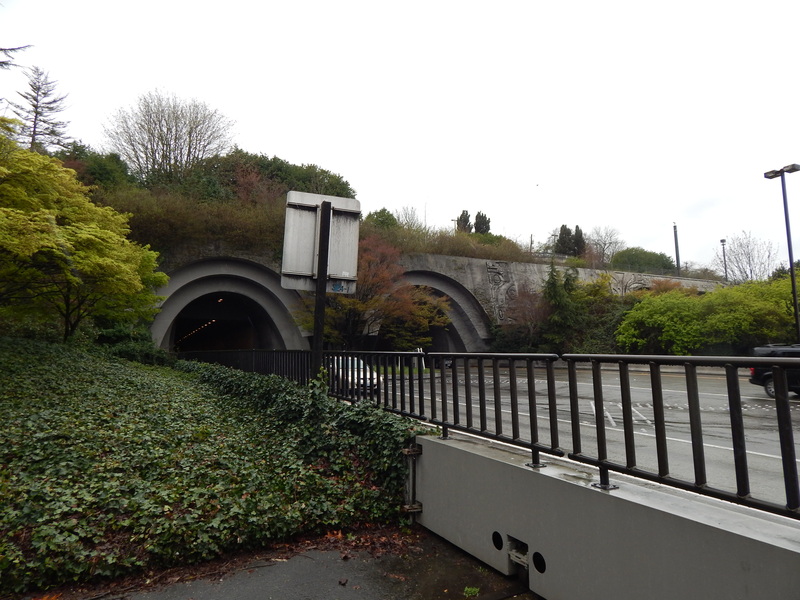 We had a good discussion about how the street he lived on used to be an entrance to the original tunnels & floating bridge. He told me that down at the end of the street were some old pieces of that bridge. So, I took my trusty camera with me & took some photos. There is quite a bit of history about these bridges that date back almost 100 years when it was first conceived in the 1920s.. 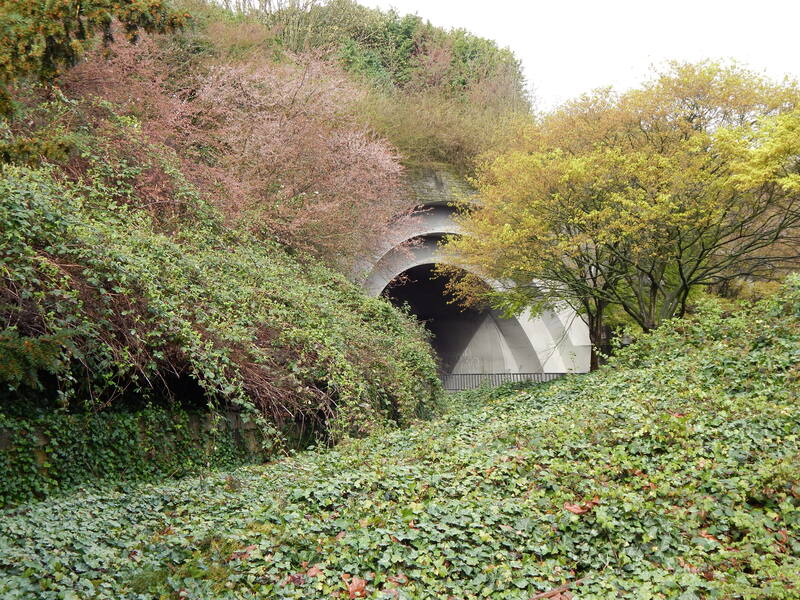 The first bridge was built & opened in 1940 and their portal into Seattle’s downtown was a pair of soft bore tunnels. They are called the Mt. Baker Tunnels after the neighborhood they go under. Here is a photo from the City of Seattle Photo vault showing them under construction. The original bridge has been gone since it sunk dramatically in a 1990 storm. It was under repair and it took on water because of some mistakes made by the construction company. That bridge has been replaced and another built along side it. They also built another tunnel next to the twin tunnels. 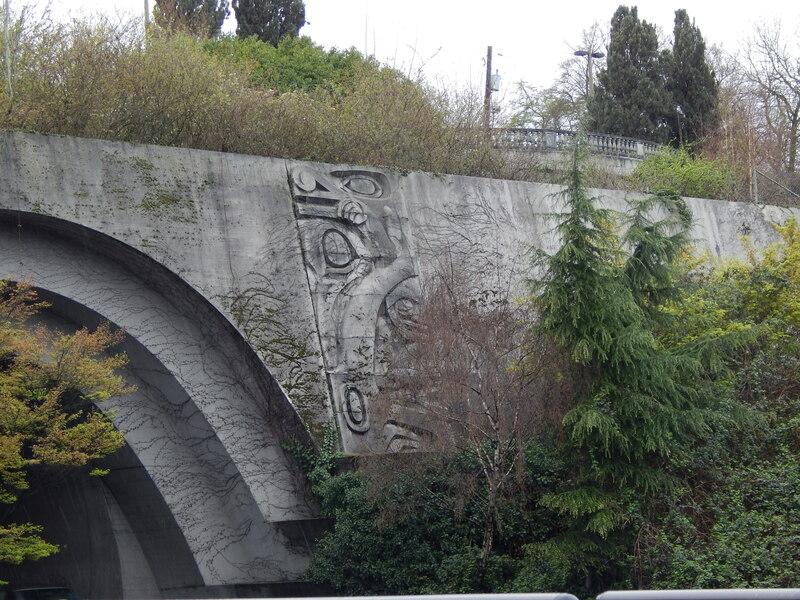 This was one of the final pieces of Interstate 90 that crosses the United States from sea to sea. I believe the last true link is in Wallace Idaho where a traffic light there was finally bypassed in 1991. 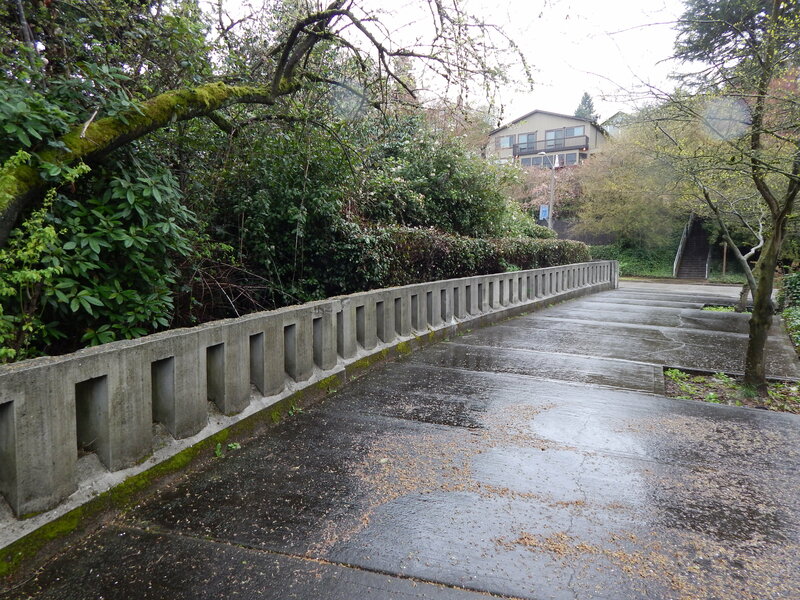 I have some connection to this bridge from in the early 1970s when my first husband, his brother and wife and I lived in an old house that was on the Mercer Island side of the bridge. It had been bought in preparation of the I-90 widening and finishing. However, due to litigation, the construction was delayed for years. So, we got to rent this lovely old gem. Two memories stand out the most. One was a wet slippery snow fall that hit Seattle. At that end of the bridge it rises up from the lake quite a bit. Remember it is a floating bridge resting down on the lake but had to have a normal bridge structure at each end. That was where people were getting stuck. This was the old 4 lane non-divided highway type of road. Not like today where we have freeway here. So, we went down on the bridge and started pushing cars up the grade. Never could do that today!! The second was a terrible accident that happened at the bulge. The bulge was a curved area that allowed the bridge to open for boat traffic. The new bridges do not have this ability but the old one did. The traffic not only was not divided but it went straight across the lake, then zagged to the right and zigged back to the left. Then it got straight again before it headed up to Mercer Island. This zigging & zagging caused accidents all the time. Lets face it the bridge was built in 1940 and traffic was certainly faster and heavier than then. Not sure why but we had walked down there. This one had a fatality. I think we went there first to see if we could help like in the snow storm. However, it was just so awful that 40 years later it is engraved in my brain. On a lighter note this walk down memory lane also reminded me of some clothing I still have from an abandoned house above the twin tunnels. We were “junkers” and made our living gathering all the things others left behind or threw away. And believe me recycling was not a big thing even in the 70s. So, we did good & paid the bills. Plus our friends never wanted for baby clothing. So, here are the photos I took today of this man-made wonder. Hope you enjoy this little bit of history. 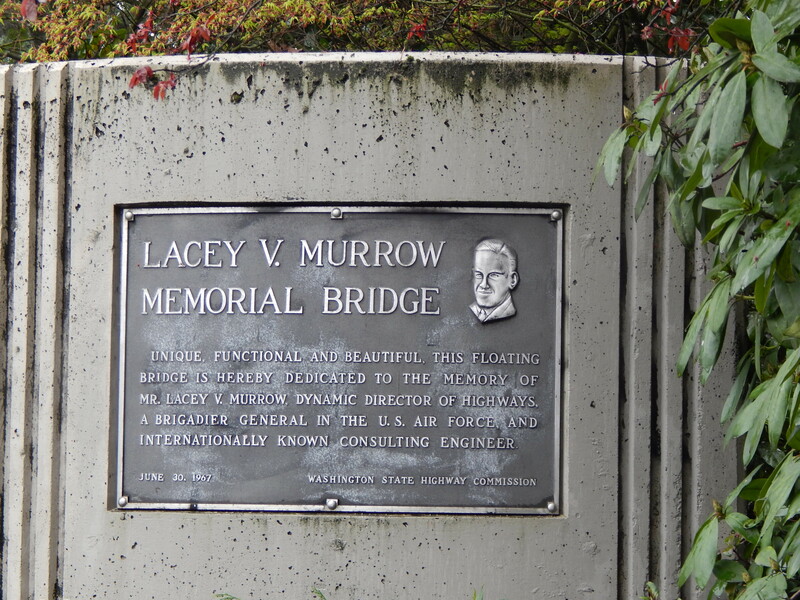 Plaque commemorating Bridge named for Lacey V Murrow. Here is a postcard that I had in my collection. It shows how there is an entrance right after the tunnels that are to the left of this photo/painting by Aschel Curtis. 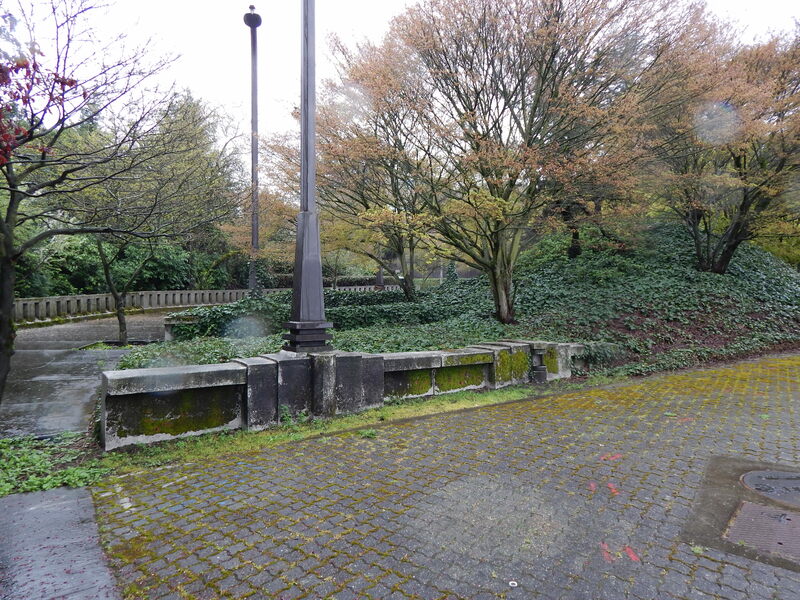 Check out above how the railing on the right is still in the park I visited never moved. LOVE this history section of your site, and the photos in this post. What a great series. Going to read the rest of them now!